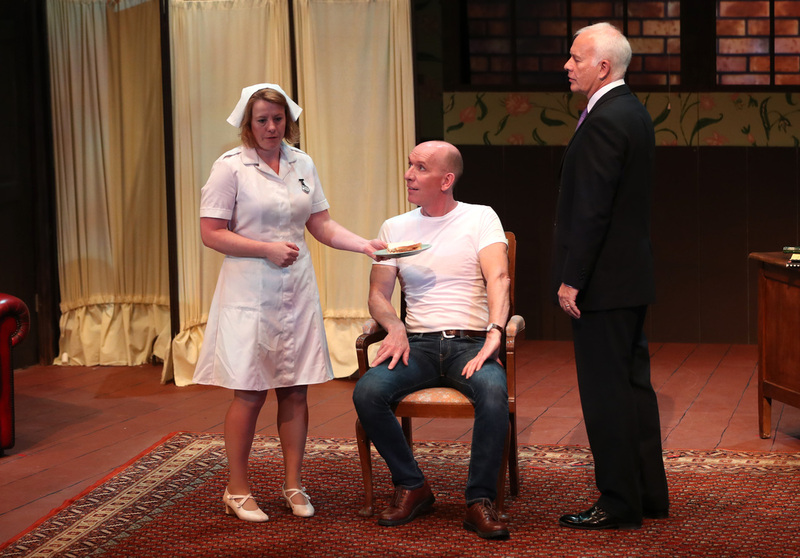 Mindgame - A mind-bending psychological thriller from the pen of Anthony Horowitz - creator of Foyles War - comes to Preston Guild Hall on June 19 - 21. When a writer of pulp crime novels gets an interview with a notorious serial killer, he believes he has snared the coup of his career. But when he arrives at the asylum, he finds nothing can be trusted, not even his own eyes. Through a series of lies, manipulations and memories, dark secrets are revealed. Writer Anthony Horowitz is responsible for creating and writing some of the UK's most beloved and successful television series, producing the first seven episodes (and the title) of Midsomer Murders. He is the writer and creator of award-winning drama series Foyle's War. Anthony has also written other original complex dramas for ITV, particularly thrillers such as Collision, Poirot and Injustice. Anthony's latest show New Blood will premiere on BBC iPlayer later this year. Anthony has written over 40 books including the bestselling teen spy series Alex Rider. Anthony is also an acclaimed writer for adults and was commissioned by the Conan Doyle Estate to write two new Sherlock Holmes novels (House of Silk and Moriarty). He was also commissioned by the Ian Fleming Estate to write the James Bond novel Trigger Mortis. Mindgame is brought to the stage by Tabs Productions who have produced a wide variety of stage productions ranging from Shakespeare to Stephen King. The cast includes Andrew Ryan (The Rocky Horror Show, UK Tour); Michael Sherwin (Mousetrap, West End) and Sarah Wynne Kordas (Blythe Spirit, Tabs UK Tour). Credit to Naomi Moon, Lancaster Guardian Source.